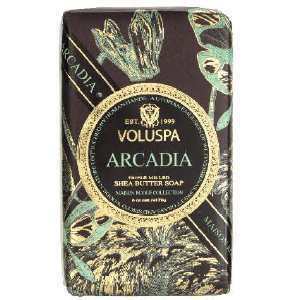 Voluspa Arcadia Shea Butter Soaps. 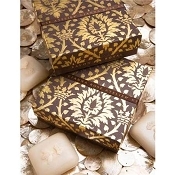 Fragrance: A Utopian Emulsion Of Wild Verbenas, Sweet Grass And Spiced Woods. Nature Untouched By Human Hands.